Shah Rukh Khan and Anushka Sharma’s second song, Beech Beech Mein from Jab Harry Met Sejal was unveiled this week. Both SRK and Anushka went bar hopping in Mumbai and it was no less than a grand treat for all the fans. Director Imtiaz Ali too was present and pictures from the event prove that the JHMS team indeed had a lot of fun. 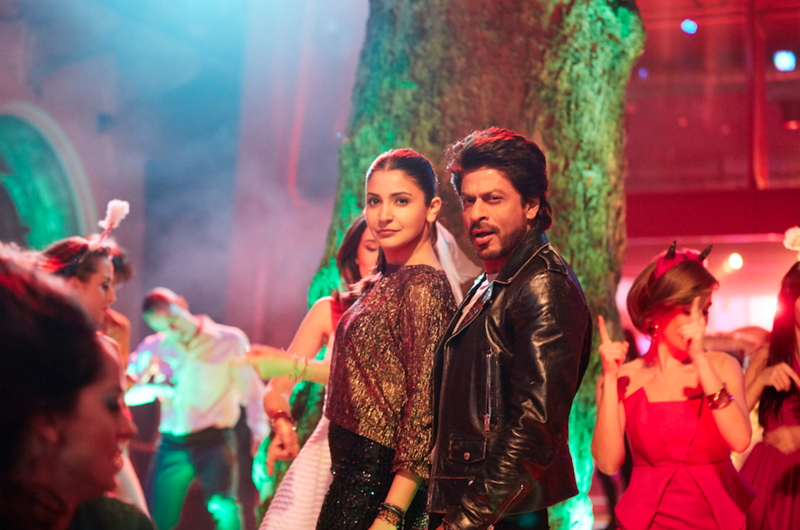 The uber cool song, featuring SRK and Anushka has been composed by Pritam and voiced by Arijit Singh, Shalmali Kholgade and Shefali Alvares. Punjabi Comedy Gold as Jatt & Juliet 2 takes cinemas by storm this summer!